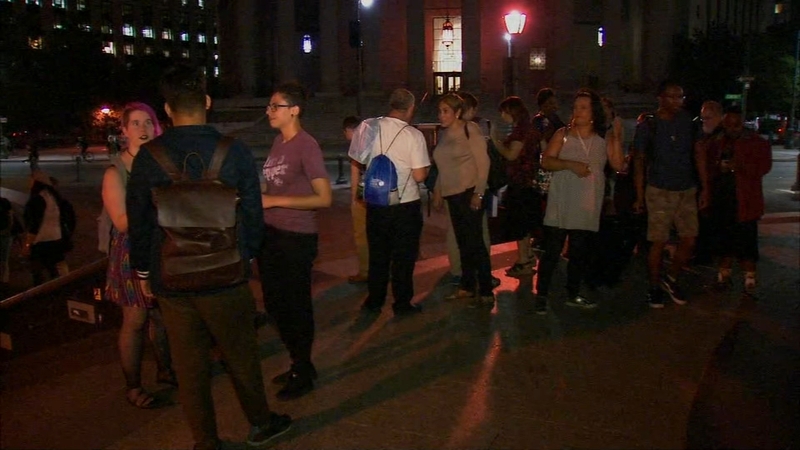 LOWER MANHATTAN (WABC) -- Protests were held Friday night over the Trump Administration's decision that transgender people are not included in the 1964 Federal Civil Rights Act that bans discrimination on the job. Gay Men's Health Crisis hosted a rally at Foley Square in Lower Manhattan to protest the decision. Protesters are calling the move a continuation of the current administration's assault on LGBTQ rights. The Trump administration has also raised the possibility of banning transgender people from military service and has rescinded an Obama administration guideline advising schools to let transgender students use their bathroom of their choice.